Explanation: Where will Hurricane Isabel go? One of the stronger storm systems of modern times appears headed for one the more populated seaboards on planet Earth -- the east coast of the USA. 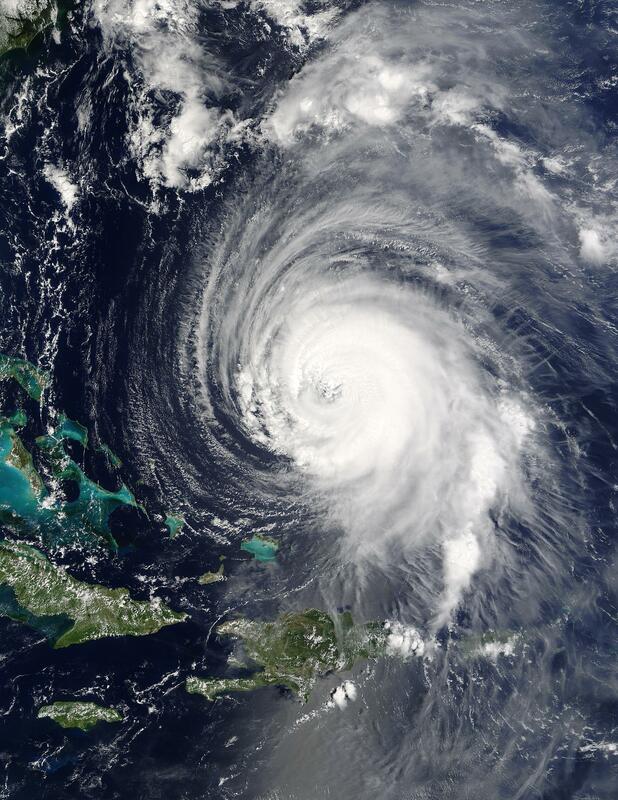 Hurricane Isabel, pictured yesteday as it passed east of the Bahamas, has flirted with category 5 status, the most powerful hurricane category. 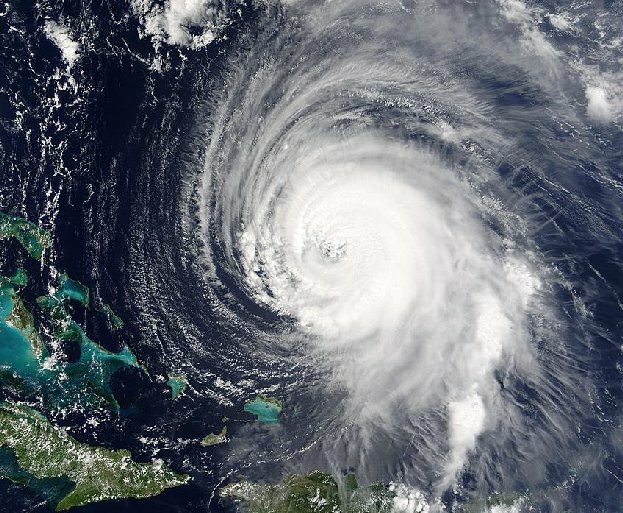 Hurricanes are huge swirling storms with cloud systems typically larger than a state. Tropical cyclones, called hurricanes in Earth's Western Hemisphere and typhoons in the Eastern Hemisphere, get their immense energy from warm evaporated ocean water. As this water vapor cools and condenses, it heats the air, lowers pressure and hence causes cooler air to come swooshing in. Winds can reach over 250 kilometers per hour and become very dangerous. Much remains unknown about cyclones, including how they are formed and the exact path they will take.